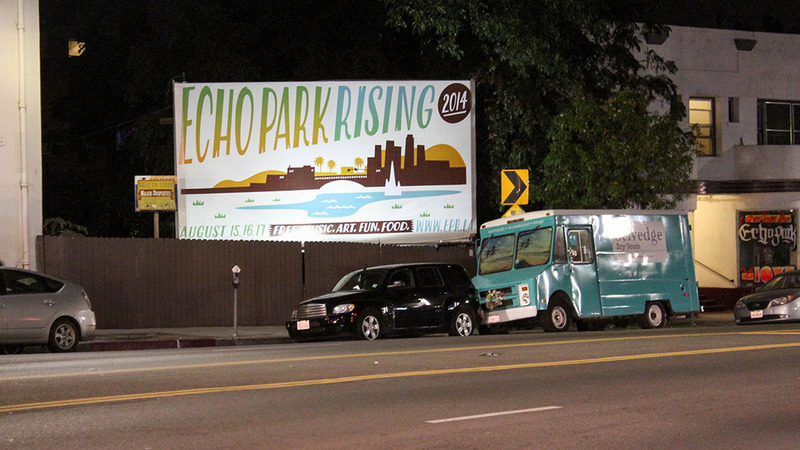 On Friday night I went to Echo Park Rising to photograph for the work blog. While I can't post any pics that might be used for that post, I can show you the less palatable pics - the grit, the glow, the circus that is Echo Park at night. I figured I was heading in the right direction by trailing a swarm of young men with unkempt hair and questionable hygiene. The instinct proved correct and I made it in time to catch the last 5 minutes of Cherry Glazerr (no, I had no idea who they were beforehand but have since added them to my Spotify list). In my plain t-shirt and mom yoga pants I felt like an outsider among outsiders. Even my most youthful cat Vans were not enough to camouflage my obvious mainstream-ness. Classic LA traffic meant I had to park on a random residential street - about a 25 minute walk away from the main stage. I'm my own worst enemy when it comes to directions and I felt like a genius when it occurred to me to drop a pin in my maps app so I wouldn't get lost on my way back in the dark. This idea paid off when I trekked back to my car with only 7% power left on my cell at the end of the night. Living to blog about it = success. My introduction to the 'DUBROBOT'. Click the pic for an explanation (sort of). It was an empty beer can kind of corner right across from the stage. The peeling exterior is how I recognized my parking spot. I can't lie, it was exhilarating to be out and about in the city - bright lights, live music, second hand smoke, odd outfits and general freakish-ness. With my camera to capture my night in Echo Park, this is my version of living dangerously…and I look forward to my next adventure under the big top. And if you would like to see why I went in the first place, you'll find the work blog post here.